The constant changes in the status of DTV stations require periodic information updating. No room for guesswork when planning the carriage of HDTV stations. 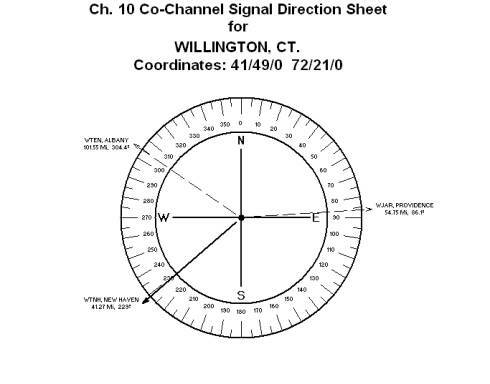 Listing of DTV stations in the service area. Which are the licensed only stations, which are actually in operation. 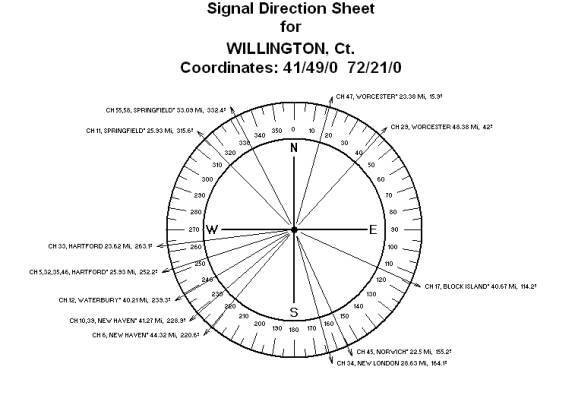 Technical parameters of the stations. 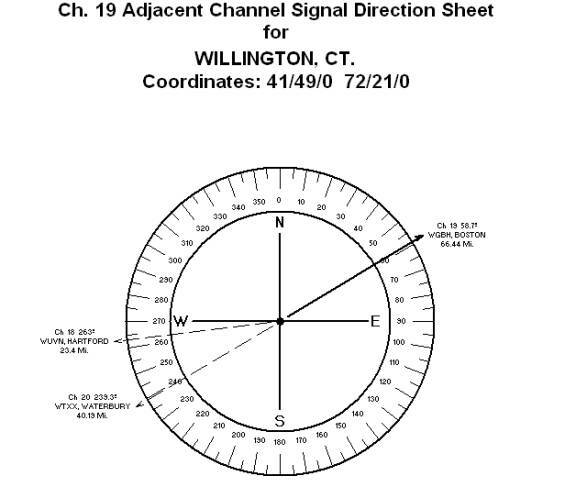 Exact, computer-calculated distances and directions. 26.11 35 WVIT NEW BRITAIN CT. NBC X 87.0 0 1499. 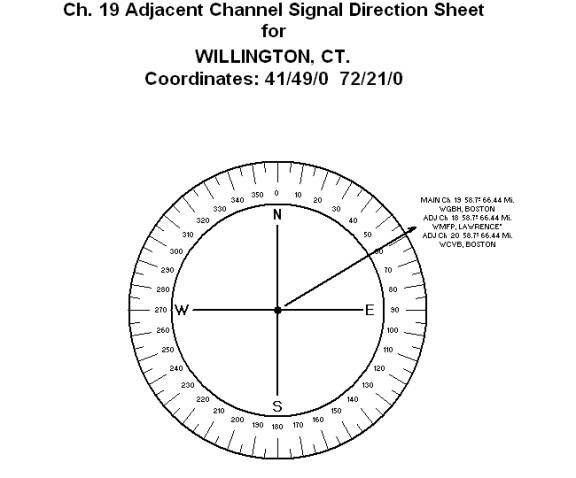 For on-site testing, to verify the status of the DTV stations, the Signal Direction Sheet is the ultimate survey tool. DTV to DTV and Analog to DTV co-channel interference. A real and present danger. Analog to DTV and DTV to DTV adjacent channel interference. A consistent and devastating picture quality problem.